The Church of Saint Paraskevi (Saint Petka) is located in the central avenue of the Bulgarian capital of Sofia. It dates from the 14th century and has withstood the test of centuries when Turks were unable to bring it down. The last time an attempt to demolish it took place in 1965 when the Communists, under the pretext of widening the highway, wanted to flatten the road. When the excavator moved his vehicle forward to demolish the church, it suddenly stopped. As many times as workers attempted to fix the issue, they could not approach the church. As they got near, the vehicle would just stop. The next day a family member of the machine operator died, who had insisted on trying to demolish the church. The foreman of the project to demolish the church, seeing that the job was delayed and the team was overcome by "stupid superstition", told his workers: "You believe these myths and aren't capable of anything! I will demolish it tomorrow!" He came the next day, angry, and mounted the vehicle for the demolition. Immediately the vehicle broke down and the foreman died on the spot. The workers were frozen in fear and the authorites abandoned their plan. This is how the Church of Saint Paraskevi was saved from the Communists. 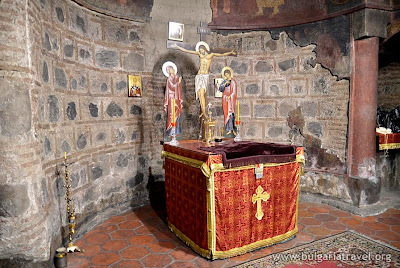 The Church of St. Petka of the Saddlers is a small one-naved building partially dug into the ground located in the very centre of both the modern and the antique city, in the TZUM subway. The church features a semi-cylindrical vault, a hemispherical apse, and a crypt discovered during excavations after the Second World War. The walls are 1 m thick and made from brick and stone. 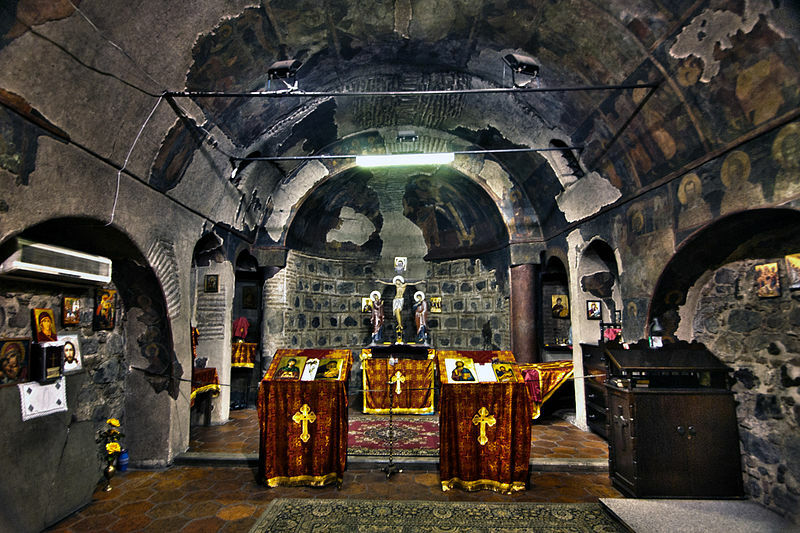 The church is dedicated to St Petka, an 11th century Bulgarian saint. The Church of Saint Petka acquired its present name due to it being a patron of the saddlers during Ottoman times, when it used to be maintained by the guild of the packsaddle makers in Sofia. 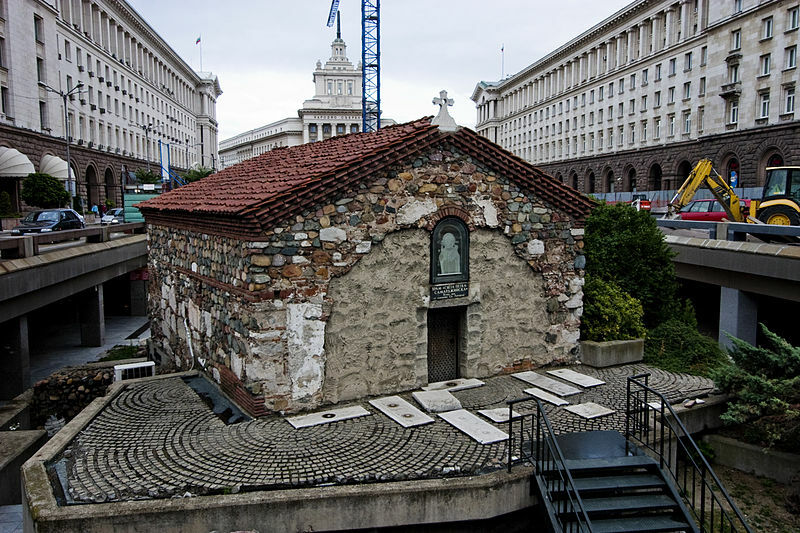 According to one theory, Bulgarian national hero Vasil Levski is buried in the church. The theory was supported by the noted research worker of Levski Nikolay Haytov and to an extent backed by the 1956 excavations that discovered several skeletons in the crypt, as well as by press reports from 1937 retelling the stories of those who carried out the burial. The Bulgarian Academy of Sciences Institute of Archaeology, however, does not support the view, which led to a harsh controversy in the 1980s that did not end with a conclusive decision.